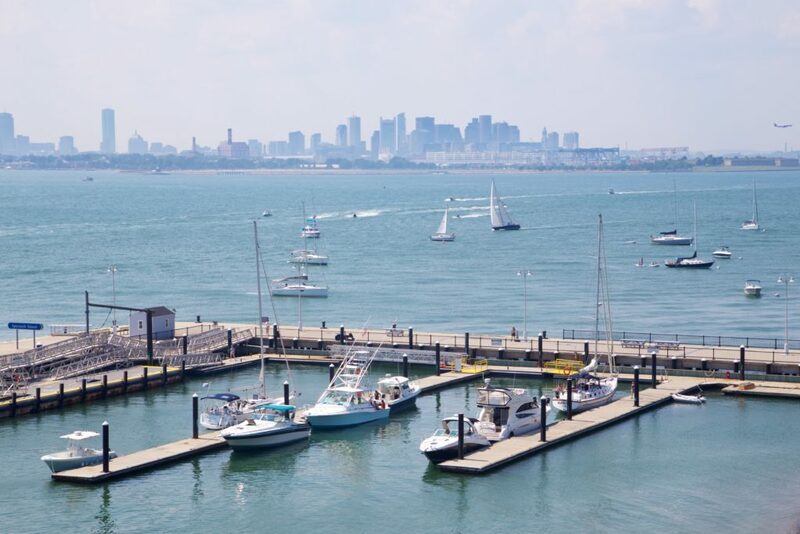 At the Boston Harbor Islands Partnership meeting on September 19th, DCR Commissioner Leo Roy announced that 103 new public recreational mooring permits have been approved by the US Army Corps of Engineers for placement around the Boston Harbor Islands. BHN and DCR have been working with the Army Corps for more than a year to establish mooring locations and equipment specifications. As part of this permit, DCR is now authorized to maintain the 50 moorings previously permitted by BHN’s predecessor organization the Boston Harbor Island Alliance. The moorings will be placed throughout the Boston Harbor Islands with 21 at Georges, 11 at Gallops and 71 at Peddocks Islands. This is in addition to the 15 moorings currently permitted to BHN at Spectacle Island. The moorings will provide additional public access to the islands for recreational boaters who are seeking to visit the Boston Harbor Islands State and National Park Area. Moorings will be available for reservation via the nationwide mooring reservation system DOCKWA. Boston Harbor Now and the Massachusetts Boating and Yacht Club Association have long advocated for the mooring approvals by lending its support to DCR, The Army Corps, MassDOT and The Massachusetts Office of Coastal Zone Management.